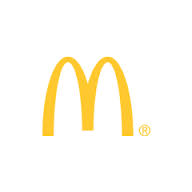 McDonald’s Corporation (NYSE:MCD), which has recently been bracing with dismal quarterly position due to sluggish sales performance, is cutting on its U.S. menus and ingredients list. The cut is expected to result in the delivery of faster service and to boost sales. The fast food restaurant will also offer its customers a more personal options on their orders, in an effort to keep up with competition from other fast food restaurants such as Subway and Chipotle Mexican Grill, Inc. (NYSE:CMG). McDonald’s Corporation (NYSE:MCD) revealed the plan in a 2-hour investor call on Wednesday, where McDonald’s U.S. president Mike Andres, along with company CEO Don Thompson, talked about rolling out a menu that is in line with regional preferences and would allow customers enhanced levels of customization termed “Create Your Own Taste”. The company expects the new sales strategy to help revive declining guest count. The pared menus will be offered starting in the first month of next year, and will see McDonald’s Corporation (NYSE:MCD)’s current offerings in the U.S. slashing food items by eight, while Extra Value Meals will let go of five variants. Reuters reported that the new menu feature the Quarter Pounder and cheese hamburger, one Premium Chicken sandwich, and one Snack Wrap. Formerly four variants of hamburger, three variants of Chicken sandwich, and three variants of Snack Wrap, are offered. “We must and will win with our food”, McDonald’s Corporation (NYSE:MCD) U.S. president Mike Andres said. Andres seeks to revive the company through offerings that are “much more culinary-inspired” and with ingredients that people usually have in their own kitchens. A complicated menu offerings is one major factor in the company’s slow service, sending it to contend with the problem of customers going to competitors offering faster service as well as healthier and fresher ingredients.